This is a very common question that we have received several times, and we would like to help out. It is pretty straight forward and under most circumstances, it is just the length and diameter that you measure on your can. All of our covers are custom made to the dimensions you give us.  For most of the popular brands out there, we have either measured the suppressors ourselves, or have made them and tested the sizing. For some of the less popular brands or Form 1 suppressors, it is critical that you actually measure the suppressor. We have found that at times, the size that is listed on a suppressor website does not actually match the suppressor. If you have any questions, feel free to contact us. With all of our covers and their strap systems, there is a large window where some error is allowed, but for the best possible fit, please give the actual measurements. This is a short list of sizes that we make on a regular basis. If you do not see your suppressor on the list, feel free to contact us and we may already have your dimensions. 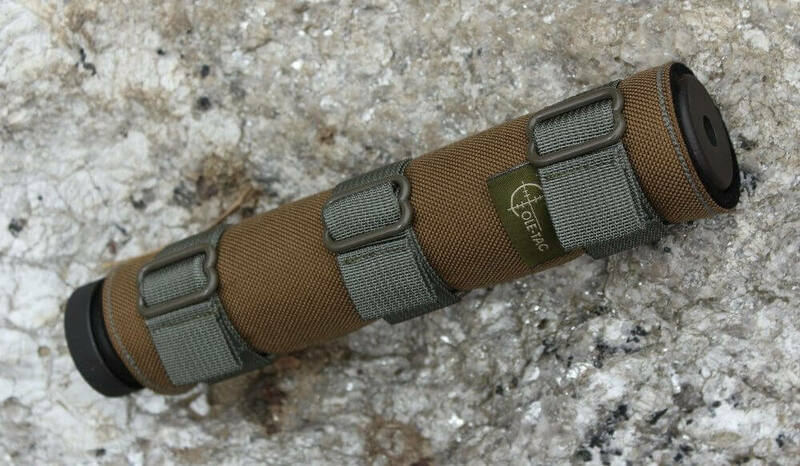 What about quick detach style suppressors? One measurement that some people forget is the quick detach area of their suppressor. We personally find that it is nice to keep the QD mount exposed outside the cover. This allows the suppressor to be taken on and off without removing the cover. As you can see in the picture, the QD mount is exposed. We can make the cover to go over the QD ring, but most people prefer to have it exposed and it is something that some people do not think about when ordering a cover. Please feel free to contact us if you have any further questions on sizing. We have had some crazy requests, and we love the challenge.